Home > News > Blog > Protecting Off-Premises ATMs: Is Your Bank Doing Enough? If your bank or credit union operates ATMs in remote locations like convenience stores or shopping malls, a recent bank heist in Japan probably caught your attention. According to news reports, fraudsters used 1,600 fake cards to withdraw money from multiple ATMs in Japan belonging to the same South African bank. In just a few hours, the coordinated attack – focused on ATMs in convenience stores – drained the bank of over $13 million. While the magnitude of this fraud may be rare, it should give financial institutions pause to consider the level of security they have in place around their off-premises ATMs. 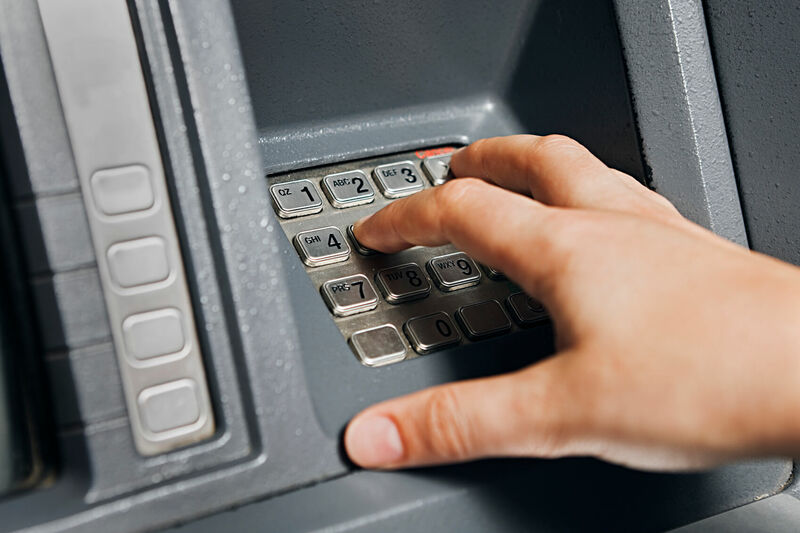 Off-premises ATMs can be easy targets for thieves since they’re not located inside a bank and may not have the same level of security or surveillance in place. Also, as U.S. banks and credit unions continue the transition to EMV or “chip” technology in bank cards, experts warn that self-serve ATMs and gas pumps are becoming more of a target for thieves. That’s because criminals are rushing to make a buck while magnetic strip cards, seen as less secure, are still being accepted by these channels. According to credit scoring agency FICO, from 2014 to 2015, compromised card data at non-bank ATMs rose over 500%. In a recent report about ATM skimming, the agency said criminal activity was highest in places like convenience stores. So what should you do to protect yourself and your customers? Taking a multi-layered approach to security is best. Make sure you’re regularly inspecting all off-premises ATMs. Are they functioning properly? Do they appear to have been tampered with? Are they located in well lit, high traffic areas? It sounds simple, but taking the time to ensure all your remote ATMs are inspected in person can help prevent issues and detect suspicious activity sooner. Ensure you have adequate video surveillance in place. This means surveillance cameras capturing the ATM machine and its surroundings, but also ATM cameras inside the machines that capture clear views of patrons’ faces. I recommend using an ATM camera with High Dynamic Range (HDR), a technique that merges multiple exposures into one image with the best balance of lighting possible. This is critical in ATM settings, where patron’s faces are often backlit with bright sunlight from behind. Proper video surveillance not only helps address crimes like skimming and card trapping, but it can also help deter other types of fraud, such as the depositing of empty envelopes or counterfeit checks. Regularly monitoring transaction data for suspicious activity is essential to thwarting ATM fraud like skimming or “cash-outs,” where thieves drain the ATM of large amounts of cash through nefarious means. By deploying a video surveillance solution that’s integrated with ATM data and intelligent analytics, you can very quickly detect potentially fraudulent transactions, or even just suspicious activity, like loitering, around machines. Integrated video solutions allow you to very rapidly sort through all your transactions and find irregular activity, such as the same person making multiple transactions with different cards or someone standing in front of an ATM for a period of time without making a transaction (a possible sign of someone installing a skimming device). By configuring alerts, the system can automatically notify you when it detects this type of activity.